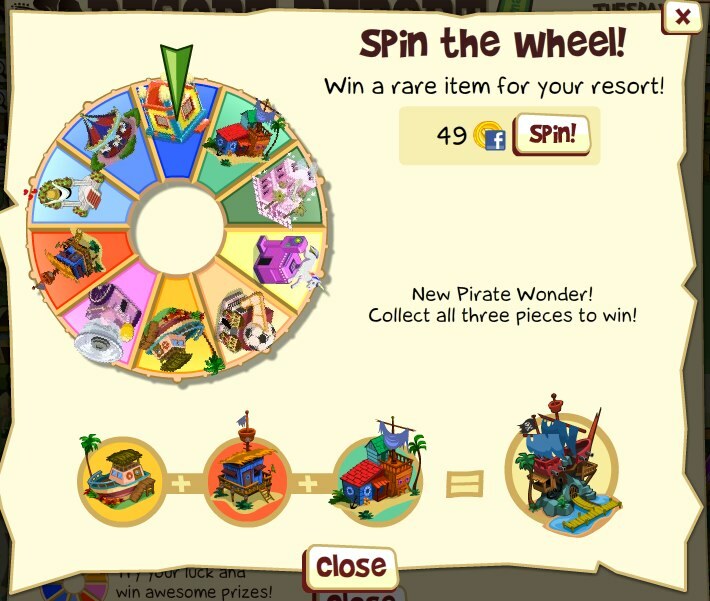 Tiki Resort has introduced a new wheel in the game -- and you can spin to win a rare item. Before you go getting all excited -- there's a catch. You have to pay 49 Facebook Credits (roughly $5) to have the privelege giving this thing a turn. One of the items you can win is the New Pirate Wonder, but you have to spin enough to collect the three pieces required to build it -- and that could get extra pricey, extra fast. Do you think $5 is too much to pay to spin the new Tiki Resort wheel?